My friends often say I’m obsessed with voting and local politics, and they’re not wrong. My house was the polling place when I was growing up, and I haven’t missed an election since I was eligible to vote. So I’m always heartbroken when I talk with someone who says they feel like their vote doesn’t matter, or can’t see the point of participating in elections. I get it. I’ve cast a lot of ballots, and sometimes things don’t go my way — whether it’s my state voting en masse to support a homophobic anti-marriage equality bill or my candidate winning the popular vote and still losing the election. If elections sometimes feel rigged, it’s because they are: Voter suppression tactics and bad policy combine to make it harder for people to vote — and harder for some voices to be heard. You’ve probably heard some of the common pushback to “my vote doesn’t count,” but the argument I often used when talking with people about this issue is actually extremely literal: Your vote very much counts, especially in local elections. As in, a local ballot measure I fervently disliked passed by just a handful of votes recently. If those people hadn’t voted, or had decided to vote the other way — or if just a few more opponents had participated in the election — the outcome might have been very different. Virginia Democrat Shelly Simonds won a race for the House of Delegates by one vote in 2017, and while she ultimately conceded to her Republican opponent as the legal fight over the situation dragged on, it highlighted the importance of turning out for local elections. That’s not as unusual as you might think. A close Pennsylvania race in 2016 also came down to just a few votes. There was another recent tight race in New York, one in New Hampshire and another in Washington State decided by just one vote. The worst part of that election? One of the loser’s friends forgot to mail his ballot. These cases highlight the very real stakes of voting in local and state elections; you can have tremendous impact with your vote on the policies that shape your daily life, which is a great reason to vote. Those opposed to the present presidential administration may wish to consider that electing progressive state and local officials can be a bulwark against harmful policies like the recent proposal to legally define transgender people out of existence. Participation in local elections is often low, so encourage people to get involved! Especially if they’re also whining about local policies they dislike. “Okay, but my vote doesn’t matter for big races,” people say, “so why bother?” Sometimes people insist that their state is a “safe” red or blue state, so either their vote will get drowned out or it’s not important. But that’s not necessarily the case. Rallying disaffected voters can create a powerful bloc that does make a difference – because states do change political leanings, and that happens when enough angry voters turn out to tip the scales. 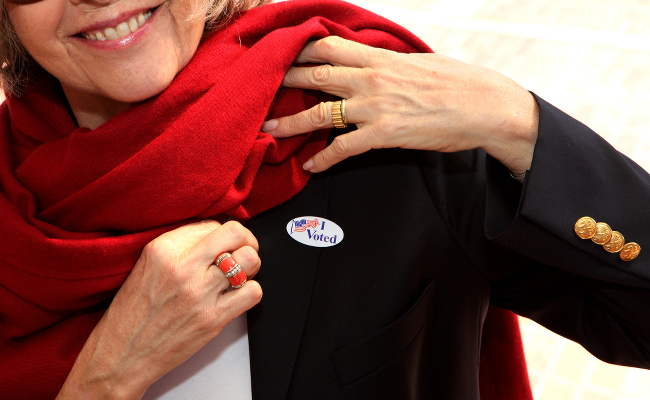 Voting may be a small act, but in aggregate, it matters. Here’s something else to think about: Research suggests that voter turnout influences policy decisions. Even if your vote personally doesn’t change the outcome of the election, your voiced preference may influence your elected officials. At a time when a lot of bad policy proposals are on the table, your vote may have greater impact than you know. Not so. The young people support free college, but that may be more of self-serving venture. The rest of the population opposes the idea. While most people support raising the minimum wage, that supports wanes above the $12/hour wage. The most support is for cost of living based minimums. Then higher cost areas, like New York and California, can have higher minimums, while the rest of the country enacts a lower wage. Most people only support medicare for all, if it doesn't cost them anything. Once the real costs are included, support dwindles. I would agree with your other issue, legalized marijuana. Three out of four, I will stand by my original statement. I have never gone in person. However my son just did when he was gone from college. He went in, showed his ID, received a ballot, filled it out, and returned it in the spot. Fast and simple. Technically, it is an absentee vote, not early voting. I have only requested one by mail. Hey thank you DAN BLOSSFIELD. How long have you been voting by mail ? This showing your licence to vote only just started a few years ago. Here's an up date: I told her I would not bother any of my neighbors with this. [ rural area, neighbors are sparce ] so she said she would be at the town hall working and I could come by there and she would give me a sample ballet , but she would need to send the real one in the mail, then come by the town hall and fill out the real one so she could initial it, then I needed to send it back to her from my mail box [ no dropping it in a town mail box ]. There's much info on the outside of this envelope most of it is about verifying my personal address so I guess that's what this fear of fraud thing is about. So to make sure my ballot got to her in time to count she suggested I bring it by the town hall again and finish the process there. So I guess this would be called 'Vote by mail in person '. A lot of states have had vote by mail for a long time and people love it so I'm curious about what the rest of this verifying the address thing is about. I have heard the tribel peoples are being shut out because they don't have streets signs or address on the Res, just post office boxes. Same with homeless people. Oh and my copy of the licence did finally arrive, just later than usual. Dan B Most people support Medicare for all, free colleges, a $15.00 minimum wage, and marijuana legalization. So your statement is not factual. You need to realize that not everyone supports the same stances as you. It is highly unlikely that you can find a party that will do so.